Denis Villeneuve executes Prisoners with same kind of bold cinematic panache as the best of the genre, namely 'Seven' and 'Zodiac', but with a moral complexity which separates this picture from Fincher’s cold clinical approach. While Seven, Zodiac to some degree Silence of the Lambs found its creative intensity within the minute details of their respective grisly murders, here it's the reactions of the ordinary people with whom we identify which fuels this picture. 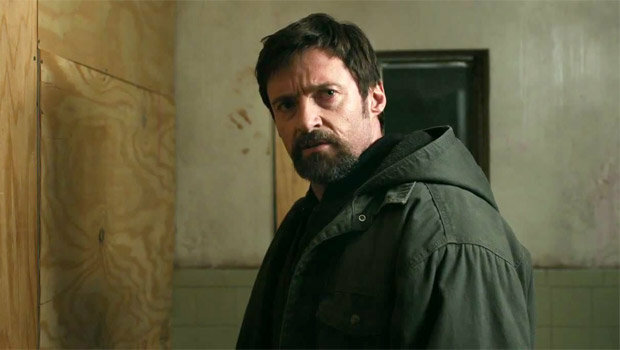 In this case, it’s not a murder but the kidnapping of two young girls, daughters to respective parents played by Jackman/Bello and Howard/Davis. Early on, as typical for films involving tragedy in Everytown USA, we're distracted with scenes of middle class exaggerated happiness before walloping us with its central plot turn. Here it's a neighbourhood dinner party of the couples. Other the paternal overbearingness of Hugh Jackman’s character Keller Dover they seem to have perfect lives. Until their two youngest girls go missing. For the next two and half hours, a running time which never feels too long, it's a pressure cooker of monumental proportions. A two pronged investigation emerges, obsessive loner cop Det Loki (Jake Gyllenhaal) cut from the cloth of Popeye Doyle pursuing the case with obsessive professionalism, and Keller Dover, a father who rages like Wolverine when the cop relax their investigation. As let on by the trailer, Dover steps over legal boundaries kidnapping the alleged suspect (Dano) with the intention of beating a confession out of him outside of the protection of the law. The moral implications here are not exactly subtle, with metaphors which go back to the Old Testament. The Dano torture is brutal and horrific, if anything, an extent which goes beyond even cinematic reality. But Villeneuve establishes his escapist Hollywood tone early on we can freely immerse ourselves in this story however preposterous. For the most part Villeneuve and writer Aaron Guzikowski refrain from stock characterizations and melodramatic trappings. For instance it seems a conscious attempt not to reveal any backstory of Gyllenhaal’s Loki character. Under hackier hands, we would have overtly connected some trauma in Loki’s past to his desire to succeed in the present. Gyllenhaal manages convey such trauma through a number of subtle visual cues (ie. tats which creep out of his shirt) and a quiet humble performance. Guzikowski and Villeneuve are also clever to throw out red herrings and other droplets of information which keep us guessing toward the rousing finale. Unfortunately they can’t escape a minor ‘scooby doo’ explanation at the end, but not before wowing us with a truly riveting final scene which will leave most audiences breathless.